Hicetas was tyrant of Syracuse, during the interval between the reign of Agathocles and that of Pyrrhus. We are told by Diodorus that he ruled nine years. The only events of his government that are recorded are a war with Phintias, tyrant of Agrigentum (modern Agrigento), in which he obtained a considerable victory, and one with the Carthaginians, by whom he was defeated at the river Terias. 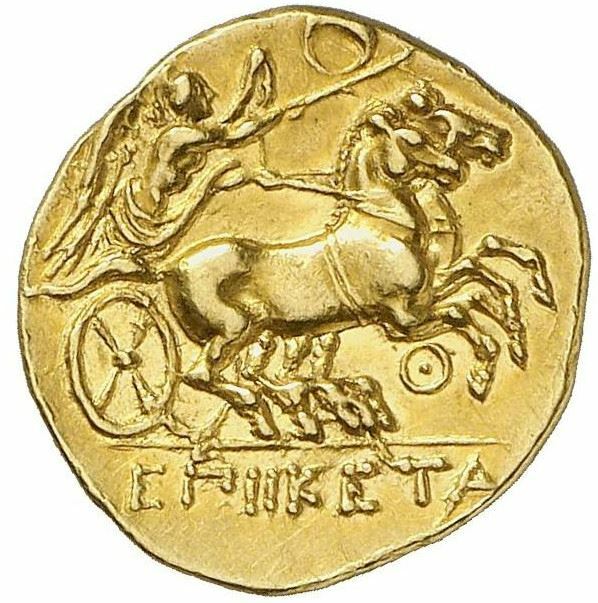 There are numerous gold coins struck at Syracuse bearing the name of Hicetas. From the inscription on these ΕΠΙ ΙΚΕΤΑ, it is clear that he never assumed the title of Basileus.